Times are a change'n. How many times have you said that lately? I find the latest technology rather exciting. I have had requests from artists to do long distance instruction, with Skype and YouTube. Something we would have not thought of 20 years ago can now be done with a smart phone or tablet. Here's a few videos from several recent workshops. I will also be offering online classes at Towering Winds Fine Arts Academy in the near future. Here's the place where in the future you will see a collection of videos from my past workshops. Some are complete demonstrations and others are critiques. I hope you find them as learning tools. I have several workshops a year in my personal studio and usually only invite five students per workshop. I like instructing an intimate group where I can spend plenty of time with each student. 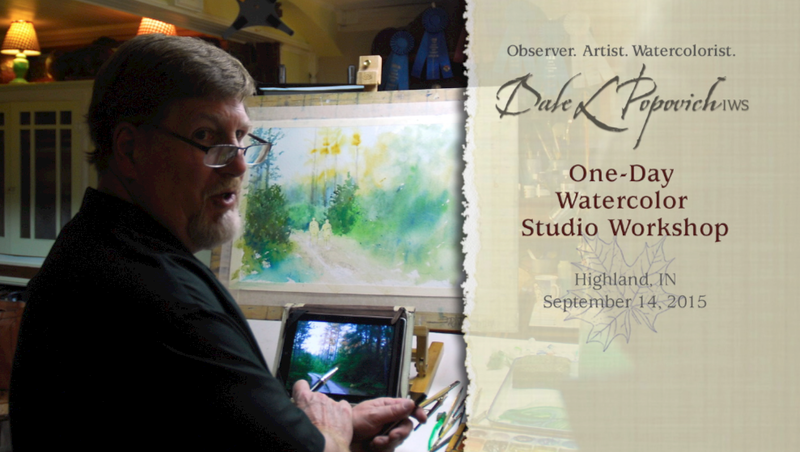 A typical one-day workshop starts off with a classical approach to watercolor painting. It starts with carefully selected photo reference on my iPad and do a pencil sketch on 300 lb. Arches cold press watercolor paper. I then take my one-inch brush and immediately lay down bold color washes, explaining every stroke along the way adding stories about the location throughout the demo. Over the course of an hour and a half I'll turn a white sheet of paper into a finished watercolor study. Once the demo is completed students break for a home cooked lunch and then I let everyone paint in the afternoon. They can select from my vast photo reference library or use their own pictures. I find it important to give guidance while the students paint. At the end of the day I critique the work, video record the critique and one lucky student will win the demo. Here are some of my video critiques from past workshops. 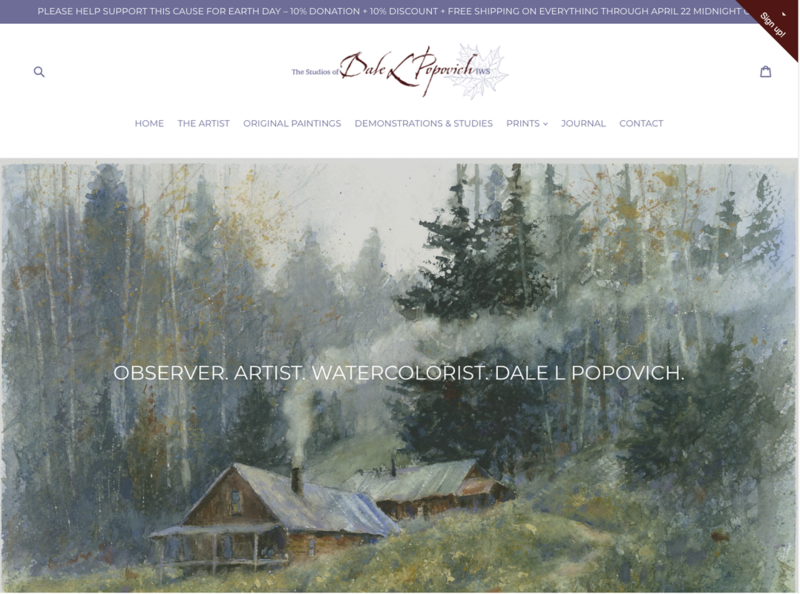 For more information about Dale's workshops, instruction and private instruction CLICK HERE.